On the eve of Ireland's opening game in the 2011 Cricket World Cup versus Bangladesh, it made me recall an article I read one day on the connection between Kilkenny hurling and cricket. It makes interesting reading, although I dont really expect to see wickets and stumps out in our hurling pitch over the summer! Never mind the mythology. The status of hurling as Ireland's alleged national sport has always been suspect in the eyes of those of us who are genetically incapable of throwing a small ball into the air with one hand and swinging a hurley with the other, in such a way as make the two objects collide meaningfully, writes Frank McNally . A more plausible explanation is that the game is an impostor, introduced to this country at some stage by undercover British agents intent on sapping the morale of the indigenous majority who would never be able to play it properly. A book called The History of Cricket in County Kilkenny - the Forgotten Game does not quite clinch the case. But it does provide enough circumstantial evidence to keep the conspiracy theory alive. Certainly, it will be a source of comfort the next time the hurling demi-gods of Ballyhale and its environs humiliate the finest that the rest of the country has to offer. And in hinting at what might have been for Irish cricket, inter alia, it will also add poignancy tomorrow if our high-flying world cup team has its wings melted. The central argument in Michael O'Dwyer's book is that barely 100 years ago, cricket was by far the most popular game in Kilkenny, while the national sport was nowhere. Although described by one pre-Famine commentator as "foreign hurling", cricket had spread far beyond the big houses to be played in every town and village, by labourers and peasantry alike. At its peak in 1896, there were 50 teams in Kilkenny, even though the GAA was well up and running. By contrast, in the county that would one day dominate the game, hurling was in a decrepit state. In 1887, an envoy dispatched by Michael Cusack's journal noted that a game in the city drew no spectators, proving "what little hold the GAA has taken on Kilkenny". Worse than the lack of spectators, however, was the quality of play. "The hurling of both teams was, we believe, the worst and most spiritless ever witnessed on an Irish hillside," lamented the writer. "It would break the heart of a Moycarkey or Galway Gael to witness such a contemptible perversion of the grand old dashing game." Kilkenny was not unique then in its passion for cricket - not even among the counties later regarded as hurling aristocrats. Tipperary has a very similar history, detailed in a 2004 book by Patrick Bracken. In 1850, there were more cricket teams in that county than in all of Ulster. The village of Toomevara alone had four. And, as in Kilkenny, the game was played regardless of religion or class. But Tipperary's love affair with cricket peaked earlier than Kilkenny's and ended more abruptly. The game in Tipp revolved around the big towns, of which Kilkenny had none (bar the city itself). It was tainted by association with army garrisons. and during the land agitation of the 1880s, cricket's affiliation to the big houses further weakened it. In Kilkenny, by contrast, cricket had put down roots in the general farming community, and the nationalist appeal of Gaelic games was slower to catch on. For a while, hurling and cricket coexisted happily. In Kilkenny around 1900, a "dual player" was someone who wielded both bat and hurley. Henry Meagher, the father of hurling legend Lory, was one such all-rounder. But the growing popularity of Gaelic games was not universal. As late as 1898, the ancestral homeland of a later legend, D.J. Carey, could still be described categorically as "a cricket village". Having given the rest of the country a head start, Kilkenny finally got around to winning an All-Ireland hurling title in 1904, and the rest is history. Yet even then, cricket died hard in the county. Whereas it was all but gone in Tipperary by 1905, the game was still viable in Kilkenny until the outbreak of the first World War, and was revived strongly in the 1920s and 1930s, until a second war intervened. It was not quite finished then, either. In 1948, a farmer in Kellsgrange created his own cricket pitch and hosted games until 1953. Meanwhile, it struggled on in Gowran too. 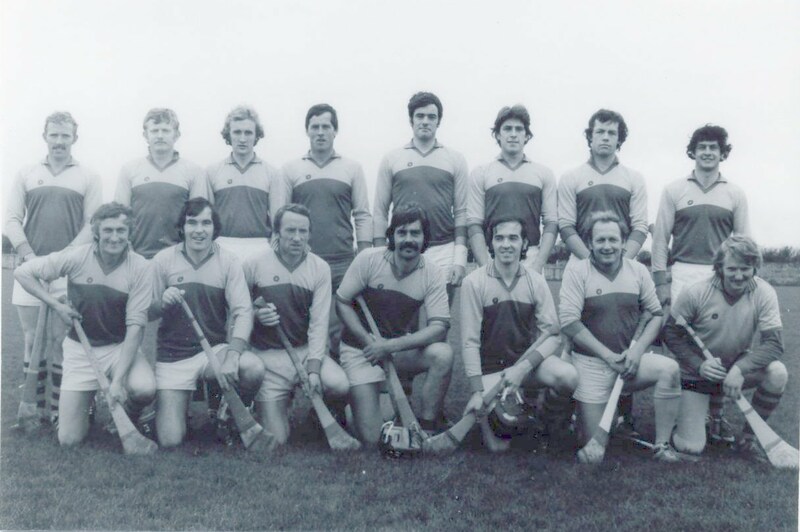 It had taken a teacher from Cork to implant hurling firmly in the local school, which claimed a first under-age title in 1956. After that, the writing was on the wall for cricket, even in Gowran, where it finally succumbed in 1958. Its demise will have cheered the ghost of Archbishop Croke who, 74 years earlier, had regretted cricket's popularity alongside such other "foreign and fantastic field-sports" as tennis, polo and croquet. While conceding that these were all "health-giving exercises in their way", he lamented that they were "not racy of the soil, but rather alien to it". And there's the rub. The mystery, surely, is that the rich, loamy soil of Kilkenny and Tipperary seems to have been equally suited to hurling and cricket. Whereas, for all its alleged raciness, the national game languishes wherever land conditions are anything less than excellent - which is most of the country. Maybe Teagasc should conduct soil tests. None of this proves my deep-seated suspicion that hurling is a foreign game. But for the majority of Irish people who lack the hand-eye coordination and wrist skills necessary to play it well, confirmation of its close relationship to cricket is welcome. So is the ready-made excuse, should the worst come to the worst in Guyana tomorrow. After all, if history had taken a different turn, Henry Shefflin might be opening the batting for Ireland. Then the English bowlers would be quaking in their boots.